Coating thickness gauge usually measures non- magnetic coating on the steel. 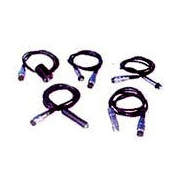 This instrument has flexible probe and can be used to test almost all types of materials, a special kind of adapter is used to test the coating on the rods. India Tools & Instruments Co. is known as the best Coating Thickness Gauge Manufacturers and we have the finest quality products tested by our expert team. 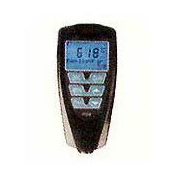 Coating thickness gauge is the best way to check the dry film thickness. The main aim of this instrument is to measure the thickness of steel surface based on selected mode. It is handhold product and easy to use. This product is highly demanded by coating and painting industry. 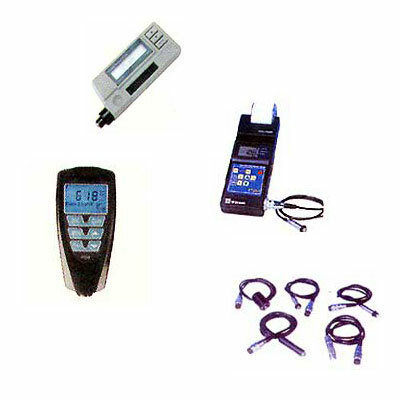 Being the best Digital Coating Thickness Gauge Manufacturers, Suppliers, and Exporters, we offer you the high-quality products for different industrial needs. Stay connected or drops your inquiry to order the products. We hold industry expertise for fabricating a premier Coating Thickness Gauge, which is used on non-ferrous probes. It follows the principle of Eddy Current measurement, which helps us conduct full-proof testing. Moreover, we are backed by our proactive distribution network, which allows us to deliver consignment on time. We are amongst eminent exporters of integrated Coating Thickness Gauge, which is acknowledged for precision testing, reliability and durable work life. 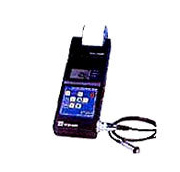 Additionally, it follows Eddy current & Magnetic induction measuring principle in its functioning. To meet demands and requirements of diversified clients, Coating Thickness Gauge specifications can be altered as per their applications. We are a reckoned manufacturers of Coating Thickness Gauge, which is developed under a stringent quality process at our manufacturing facility. By making use of quality-tested components, advanced machinery and tools, we ensure reliability in testing and durability. Keeping in mind the budgetary constraints of our clients, we offer them affordable price range. Coating Thickness Gauge, we offer, is designed and developed precisely at our sophisticated manufacturing unit. We make use of finest quality material and components for its fabrication under stringent quality process. This equipment follows eddy current and magnetic induction measuring principle for the precise and exact testing. 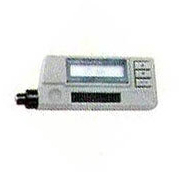 Our clients can avail Coating Thickness Gauge in various kinds of probes such as F400, F1, N1, F10 and CNO2. We bring forth for our clients precision-engineered Coating Thickness Gauge, which is used on ferrous probes. 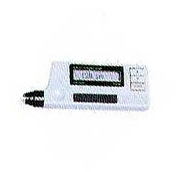 This gauge uses magnetic induction measuring principle for the process of premier testing. Apart from the readily available models, our clients have choice of availing their preferred specifications.